A little more action from the high Cascade trout. The Ant-Sassin pattern was really working well. Hooked six and had them throw the hook before I wised up and sharpened the point. From then on it was steady catch and release action. 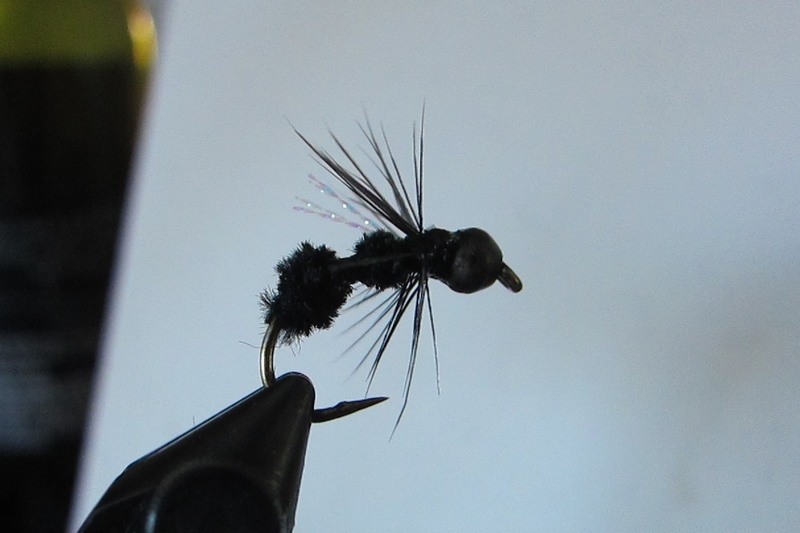 On the flying ant pattern called the Ant-Sassin. The dark Ant-Sassin fooling mountain redband trout again, again and again.